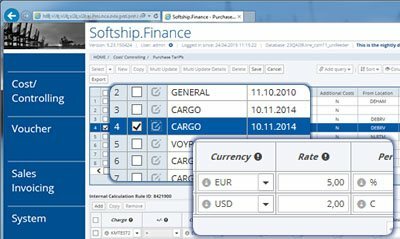 Softship.Finance is a new facility from us that delivers enhanced transparency and control over the financial aspects of your liner activities. A web-based solution, Softship.Finance controls your tariffs and assists you to reconcile your incoming invoices allowing you to easily claim and settle any differences. Our innovative and effective tariff maintenance facility relieves you of the tedious process of setting-up and maintaining hundreds of individual tariffs. The introduction of the 0.1% sulphur cap within all ECAs drove our decision to introduce a new bunker element into our VOYCES solution. As you use VOYCES to create your schedules, our software will incorporate vessel movements within ECAs to give an accurate assessment of the amount, types and cost of bunkers required to complete a voyage. This allows bunker consumption to be forecast. If unplanned changes to the schedule are required, the software will then assess the impact on bunker consumption for each alternative solution. In addition to this, our software will also calculate if the vessel has sufficient bunkers on board - and of the correct type. Inbuilt alerts will inform you if fuel is likely to fall below a pre-set threshold. To make things even easier, our solution also includes a series of bunkering options and will suggest the most suitable port for the ship to take on fuel of the required type. Because of the various types of fuel now required by vessels trading within ECAs, the purchasing process has also become more labour intensive. To assist with this, our software will store existing bunker contracts and then match them with each new order. When bunkers have been delivered, the delivery order can be automatically matched with the original order to identify and highlight any discrepancies. As leaders in our sector we are often asked for our thoughts and views on relevant software and IT issues. Last year, around a dozen publications printed feature articles containing our expert opinion and that is continuing this year. 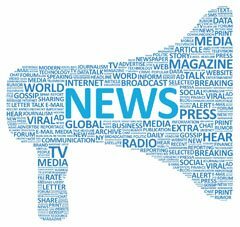 Please do take a look at the media section of our website. We also share our opinion and thoughts in our regular blog which is also published on our website. Here you can read our latest views on topical issues. We re-publish our blog on our LinkedIn page, and this gives you the opportunity to comment on what we've said. Please do take a few minutes to read our blog and leave your comments - we'd love to hear from you!